For prices starting at £2000 for a one-day course, kids of the super wealthy can learn sophistication and decorum from the finest etiquette teachers in the UK. Whilst demand is surging with many of the UK’s etiquette schools expanding their day courses to weeklong retreats at country manors for wealthy whippersnappers, etiquette is now also being taught in more relatable and affordable surroundings. We follow leading etiquette coach Belinda Alexander as she puts on a etiquette class for a group of youngsters and teaches them some valuable lessons in manners while their parents watch on a monitor in the other room. 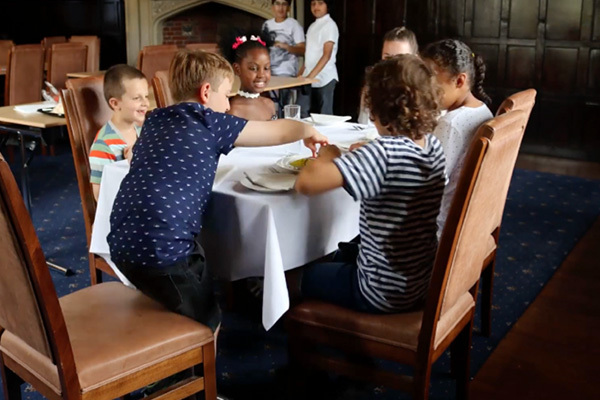 With a variety of topics on the agenda from table etiquette to the use of technology, the children will be put through their paces and as a result the parents watching on will also receive some useful home truths.